The key to increasing participation is to increase the comfort level for possible entrants, and when the greatest group of prospects are those with lower performance boats, that means taking a close look at their needs. The irony is how these boat-types with full interiors were once the majority of race-type boats, but their enthusiasm waned as yacht design and race formats evolved. However, as this heightened trend threatens interest within that bandwidth, there is the need to seek out these types of boats that once ruled the waves. 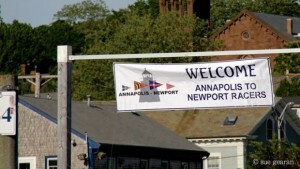 This is a mission that Annapolis Yacht Club has taken on with their biennial 475 nm Annapolis-to-Newport Race. A concerted effort is being made to introduce its signature event to this ‘new/old’ audience which is aided by a series of seminars to help first-time participants prepare for the passage between two of the most historic seaports on the East Coast. 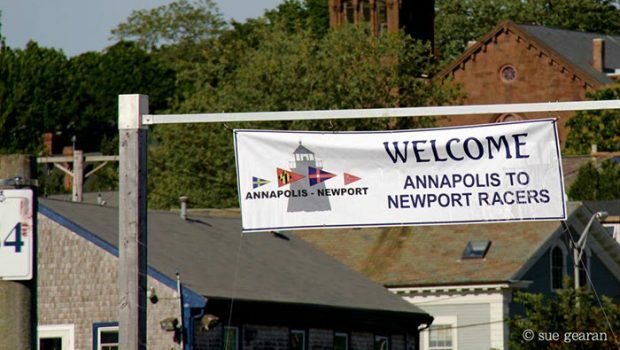 The 37th Annapolis-to-Newport Race, which starts June 7 and 8 on the Chesapeake Bay, hopes that staggered starts, the seminar series, and an emphasis on attracting cruising sailboats – will continue in 2019. By promoting the Performance Cruising division, this new wave of competitors has included a Hanse 371, Tartan 3500, Beneteau 473, Oceanis 45, C&C 110, Baltic 38, and Dehler 36 which were among many cruising designs that entered the 2015 and 2017 editions. One of the more popular alterations AYC has made to A2N has been separate starting sequences based on handicap ratings. Smaller and slower boats will start on Friday, June 7, while the larger and faster boats will start on Saturday, June 8. This format has succeeded in getting the entire fleet into Newport in closer proximity and led to increased attendance at the prize-giving ceremony. From March to May, seminars designed to help skippers and crew prepare for the 475-nautical mile race. “These seminars have been very helpful and informative, even for veteran racers. You always walk away having learned something new,” said Praley, who is set to participate in his seventh Annapolis-to-Newport.